Moringa oil is excellent for preventing and improving the appearance of split ends as well as softening and detangling hair. Moringa oil is derived from the seeds of the Moringa tree, which originates in the Himalayas as well as parts of Asia & Africa. 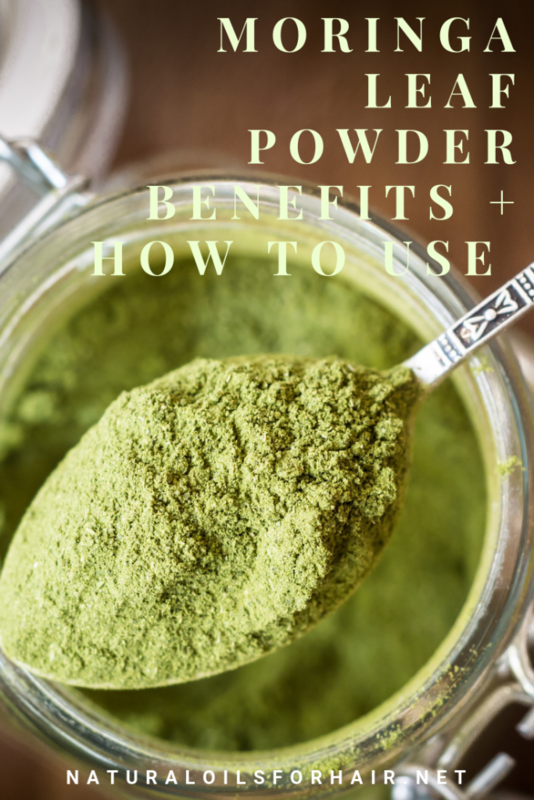 This article will cover moringa leaf powder benefits for the body, how to use moringa leaf powder and where to buy the best moringa leaf powder. All the parts of the moringa tree can be used to make medicine. Interesting fact – some places also use it as an aphrodisiac. The immature green pods of the tree, which is known as drumstick is used to prepare delicacies in certain areas of India and Africa. The mature green pods themselves are harvested for the edible seeds, which are cooked or roasted. 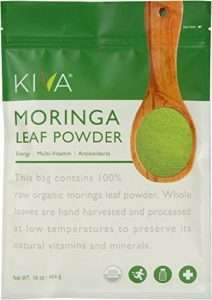 Moringa leaf powder is derived from the leaves of the moringa tree and has been touted as a superfood. The leaves of the moringa tree are harvested and dried then ground into a fine powder with any kind of grinder. Moringa leaf powder is a rich green color and has a significant amount of benefits for the body. The taste of moringa leaf is similar to spinach. Moringa leaf powder contains more vitamin A than carrots and more vitamin C than oranges. Vitamin A supports good vision and vitamin C boosts collagen as well as repairs and regenerates connective tissues in the body among other things. Moringa leaf powder contains a high amount of protein; more than most plants. 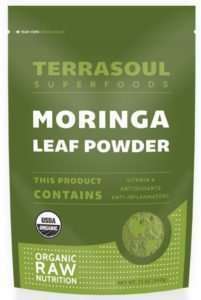 If you’re looking for a plant protein to replace animal protein, moringa leaf powder fits the bill. Moringa leaf powder is suitable for vegetarians and vegans as well. Moringa leaf powder contains 18 of the amino acids required by the human body including the 8 found in meat, which makes this powder a complete source of protein. 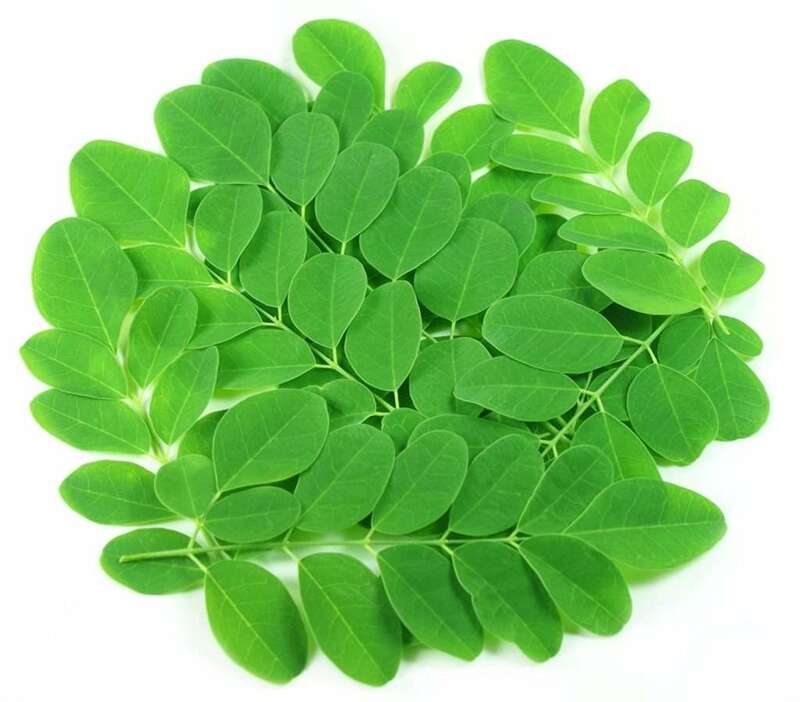 Other important nutrients in moringa leaf powder include vitamin E, calcium, potassium, vitamin B6, vitamin B7, vitamin K, folate, sulphur, iron & riboflavin. Moringa leaf powder is loaded with antioxidants that fight free radical damage, cell damage and inflammation in the body. 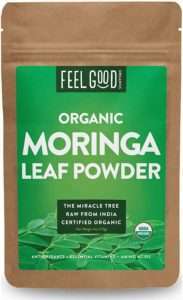 Moringa leaf powder helps lower bad cholesterol in the body and improve respiratory health. 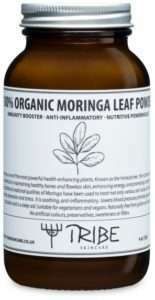 Moringa leaf powder supports the healthy functioning of the digestive system. If you’re on a weight loss diet, adding moringa leaf powder can help boost the body’s metabolism rate. Note, this doesn’t mean it replaces a healthy diet. It’s a complementary meal in conjunction with all the other healthy meals. So, how you do you get this fabulous leaf powder into your diet for effective results? I share some great ways below. Add 2 teaspoons into your daily pre or post workout smoothies. Remember it’s plant protein, which is very good if you’re weight training. You can drink it as a tea. The flavor is mild, similar to spinach, and pleasant so a few cups a day should be fine. Share some awesome recipes below. You can 1 – 2 teaspoons to juices, cereals, yoghurt, salads, soups, sauces and toppings. When including in cooked foods, use it after the dish is cooked and at room temperature as heat destroys the benefits of moringa leaf powder. If you’re keen on making your own moringa leaf powder and have the time, check out the step by step video below. Once done, make sure to store in an airtight container. 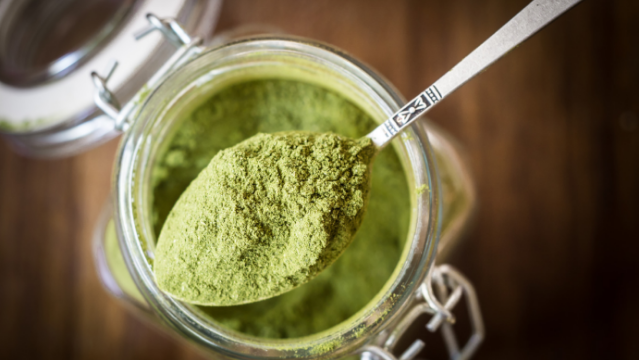 There is a lot of moringa leaf powder on the market made from low-quality plants or adulterated with other things in the manufacturing process. Moringa leaf powder is safe to consume in small amounts and doesn’t have any toxic side effects. 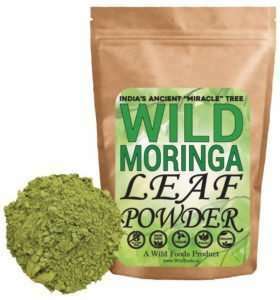 Ensure you purchase authentic moringa leaf powder. 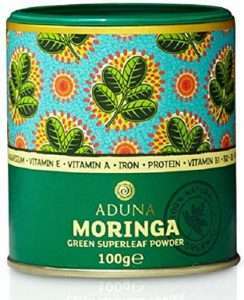 If you’re breastfeeding or nursing, however, its best to avoid consuming moringa leaf powder.